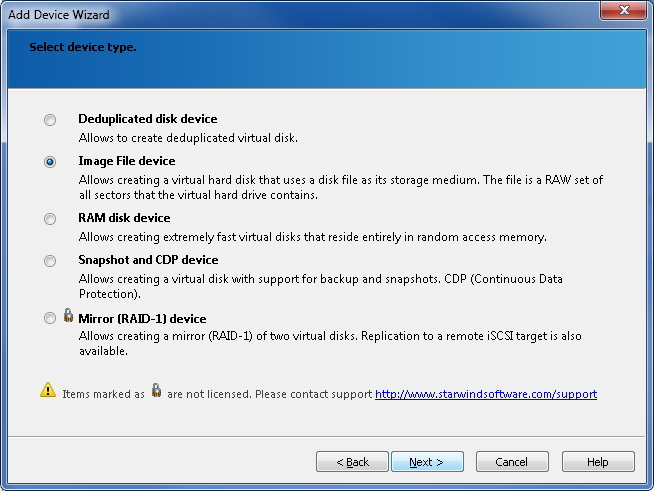 In my previous post, I mentioned that I use StarWind Software’s iSCSI SAN software to provide iSCSI LUNs for my home lab. 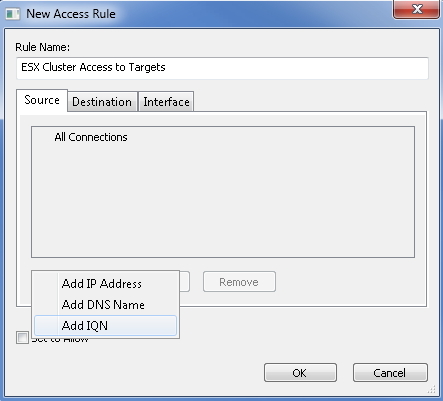 In this post, I’ll document the process to create a simple shared iSCSI LUN setup. Using that, one can provide as many LUNs as required to an ESXi setup, possibly with multipathing – very useful if one doesn’t have expensive network storage and virtual appliances don’t seen flexible enough. I should apologise in advance as this is a fairly heavy post in terms of pictures. I thought about it but as I wanted to create an article with step-by-step instructions (making sure they’re followed exactly), I had to do it. 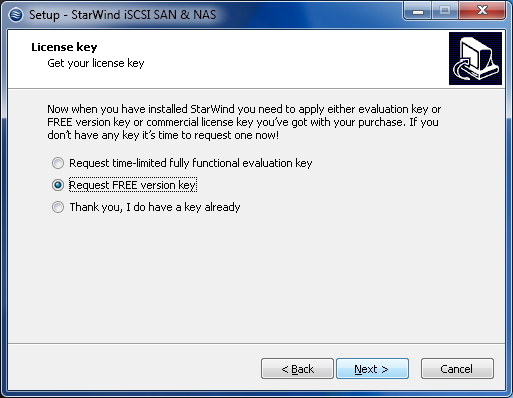 The next screen asks you to browse to the file containing the license, which you should have by now. Once done, it’s plain sailing after that and the software goes ahead and installs itself. Select “Device Type”. 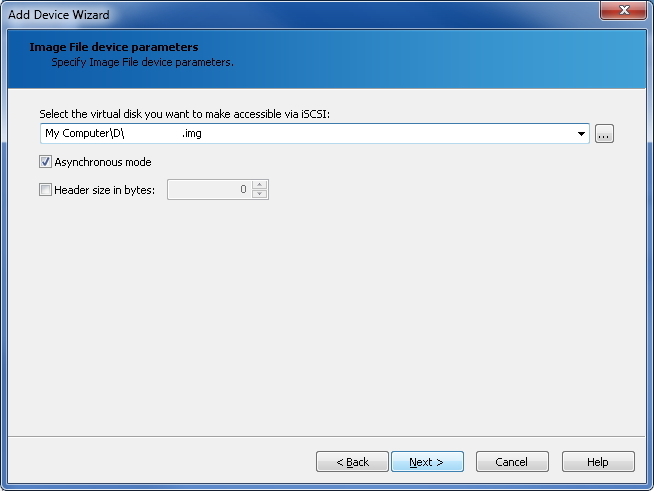 For our example here, choose “Virtual Hard Disk”. 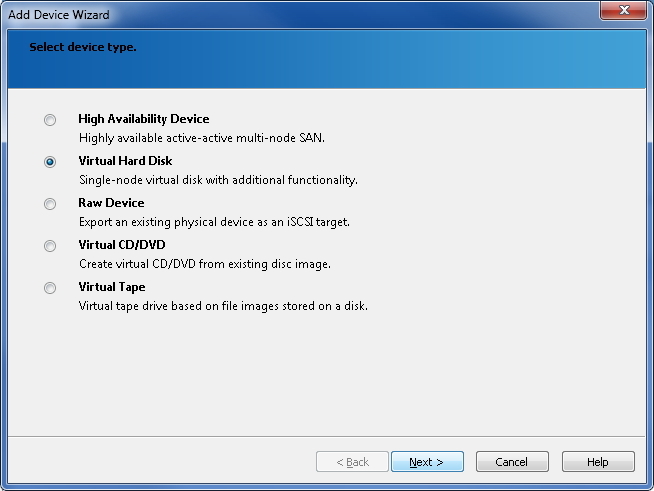 Just like various hypervisors, this is a flexible option that let’s you create disks with varying capabilities. Other options could also be selected based on requirements but whether or not you can use them, will depend on your license entitlement. The wizard continues to ask what type of medium should be used for this virtual disk. For the purpose of our example, we’ll choose “Image File Device”. 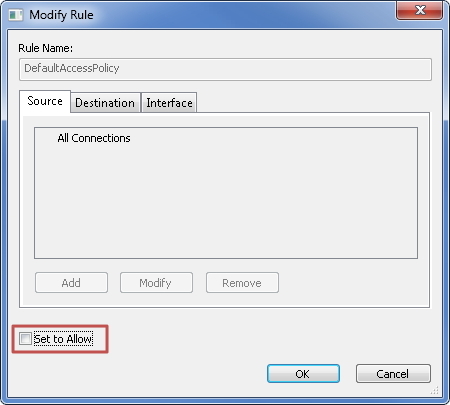 As before, some options might require a different license, as shown in the example below. 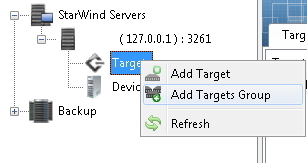 Here the option “Mirror (RAID-1) device” option is not covered by my license. The next screen asks if you want to create a new virtual disk or mount a pre-existing disk for this device. 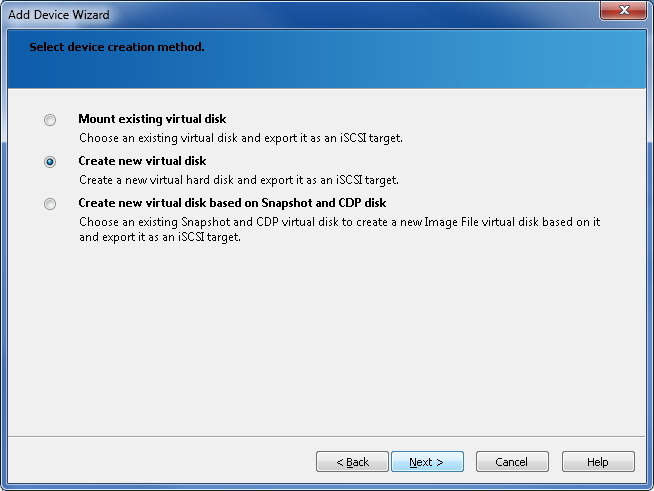 We choose the “Create new virtual disk” option. 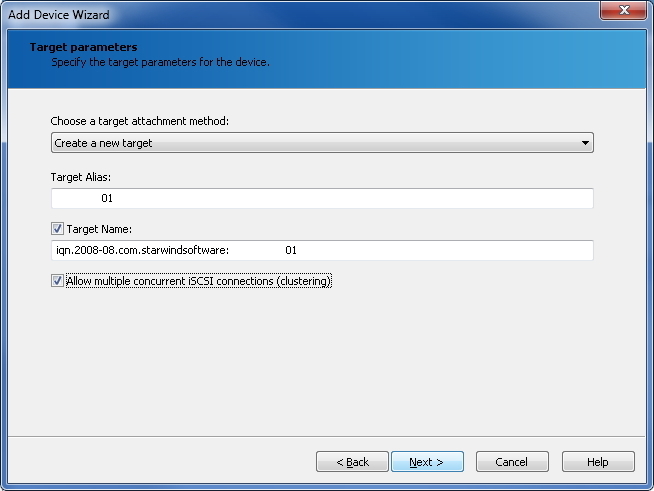 As we’re creating a new disk, we need to give the software the location and size of the file containing it. Obviously, it should be ensured that the destination location has sufficient capacity free. 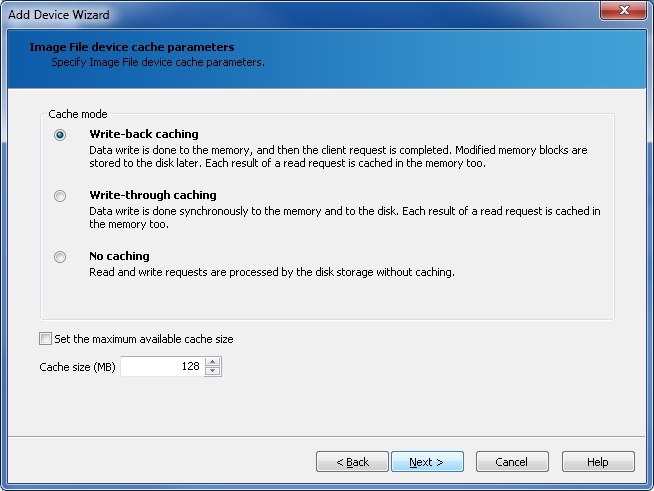 One could also create a compressed and/or encrypted disk here. After that, it’s just a confirmation screen. 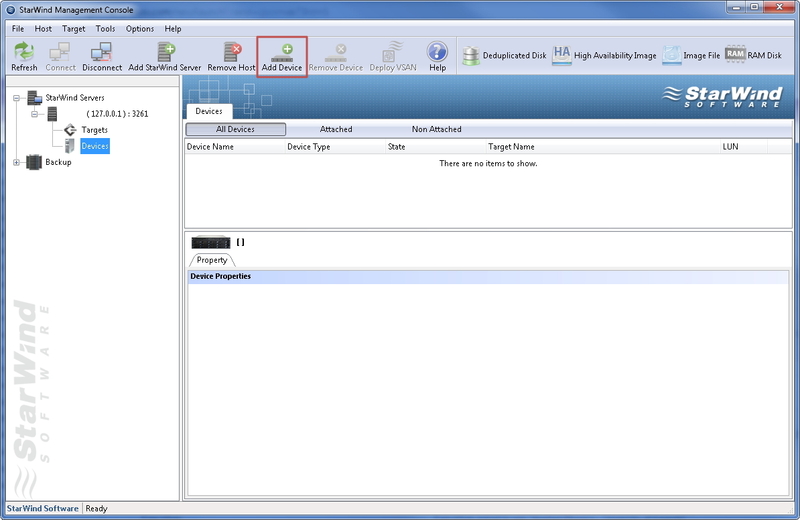 Click “Finish” to complete the creation of disk and the associated iSCSI target. 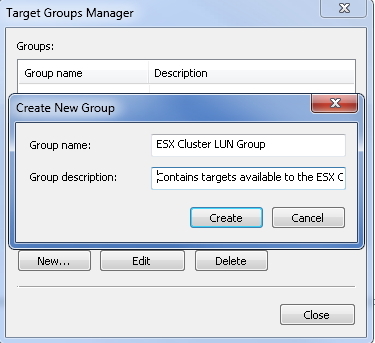 As you can see, it’s a very flexible piece of software, allowing you a large number of options to choose from when it comes to providing anything from basic LUNs to complex HA clusters. One thing to do at this point is to change the “Access Rights” for the Targets Group “General”. Reason for that is that by default, it allows any initiator to connect which can’t be a good thing if your storage is used to cater for many different systems. If all that I mentioned above worked successfully, you should see this in the bottom pane of the “Storage Adapters” section. 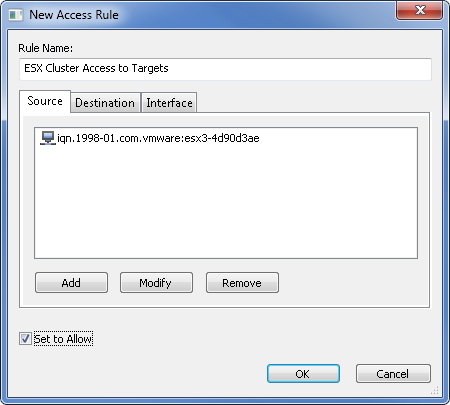 I hope this step-by-step guide will be useful to you in creating a shared iSCSI setup for your ESXi (or Hyper-V for that matter) environment. Hopefully, I will be able to bring you more in the near future – possibly a more complex set up!